Table top Holiday Snowman Photo Frame has an overall size 8 x 10. This frame will hold a 4 x 6 photo. Beveled edges on matting on both snowman and photo opening. NO STAMP CUTTING OR STICKER! White frame with double mats of red & white. 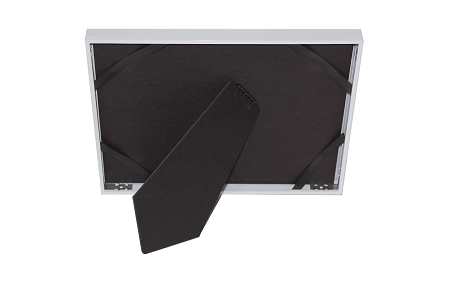 Photo frame includes easel, mounting board, glass and gift box. Photo's can be easily inserted from the back. Great frame for those holiday photos!